Soraa, the world leader in high-quality LED lighting and illuminator of many the world’s most famous historical buildings, museums, hotels, and luxury retailers, announced that its LED lamps were selected to illuminate Mika Aoki’s stunning glass arts exhibition at the POLA MUSEUM ANNEX in Tokyo, Japan. “Mika Aoki’s unifying theme is 'expressing the conditions of life', such as living, dying, movement, growth, and evolution, through glass. Lighting is a critical factor for creating her original, unique world. You must have true, accurate colours to bring out the best in the glass,” said Mr. Hiroki Obana, lighting designer at Solid Lighting. 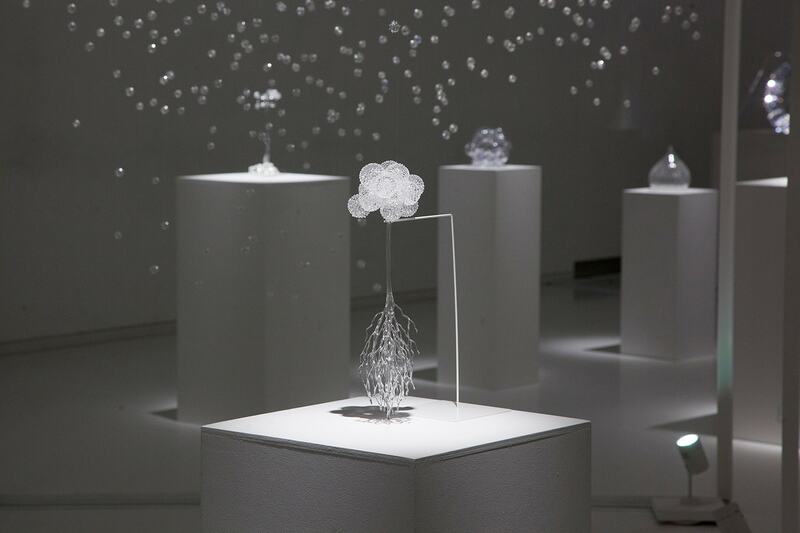 To illuminate ‘The Forest That Leads To You’ glass exhibit Soraa VIVID™ lamps were collectively chosen by, Ms. Mika Aoki, and Solid Lighting, for their tight beam control, outstanding colour, and crisp whiteness rendering, unveiling the truest colours possible. “Lighting is a very important factor in tuning an optimal setting for the glass. Soraa’s white rendering generates the gentle and soft ‘innocence’ atmosphere I wanted,” added Ms. Mika Aoki. "Soraa provides a consistency to the exhibit, even when the lamps are dimmed, revealing dynamic surfaces and colouring throughout the entire environment." The company’s lamps feature Soraa VIVID Color™ technology which utilises all colours of the visible spectrum from violet to deep red emission, delivering warm tones beautifully and accurately, achieving a colour rendering index (CRI) of 95 and deep red (R9) rendering of 95. Soraa lamps also feature Soraa Natural White™ technology yielding infinite shades of white revealing warm rich tones and cool bright whites with accuracy. You can experience Soraa light at the San Francisco Museum of Modern Art, Nicolas Sursock Museum in Beirut, Victoria and Albert Museum in London, and Historical Museum of Bamberg in Germany.